How do the messy parts of the Bible apply today? Dirty Theology is an initiative of St. Andrew's Regional Ministry and the YYC Campus Ministry. It is a space for young adults to build connections, get real and dig deep into the nitty-gritty of what our faith means in our daily lives. We will do this by meeting on the 2nd Sunday of every month to explore some of the racier stories of the Bible - the ones that are most challenging, dirty and messy. What do these tell us about the nature of God, and what do they say about how we do relationships with one another, both bad and good? No wrong questions or answers - let’s get dirty, dig in, and explore together. We will be providing light food and hot drinks for the evening. 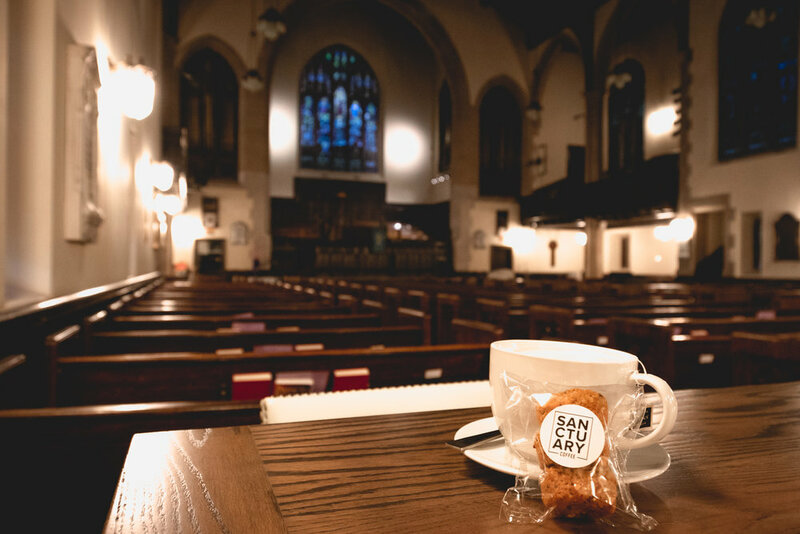 Location: Knox United Church (506 4 St SW), mostly in their new space Sanctuary Coffee - an amazing new coffee shop opened right in the sanctuary. On the second Sunday of each month from October to June we gather at Knox United Church for a deep dive into the messy parts of the Bible. It starts with us gathering at 6:30 p.m. with a few icebreakers and a check-in. We then eat a meal together (always vegetarian, gluten free, and dairy free). Once the meal has been served we begin our conversation by reading that month's Bible passage. These passages are almost always the ones that don't normally get addressed during church. They are the messy ones, the hard to read ones, the difficult and the awkward ones. Nick Coates then asks a couple of questions, and we launch into what people see in the passage and how it applies to our lives today. From there, it is a tad difficult to explain as the conversation goes where the group takes it. You can expect one thing in the end though, we may not have answers to the questions posed but you will be thinking about the passage in a whole new light. 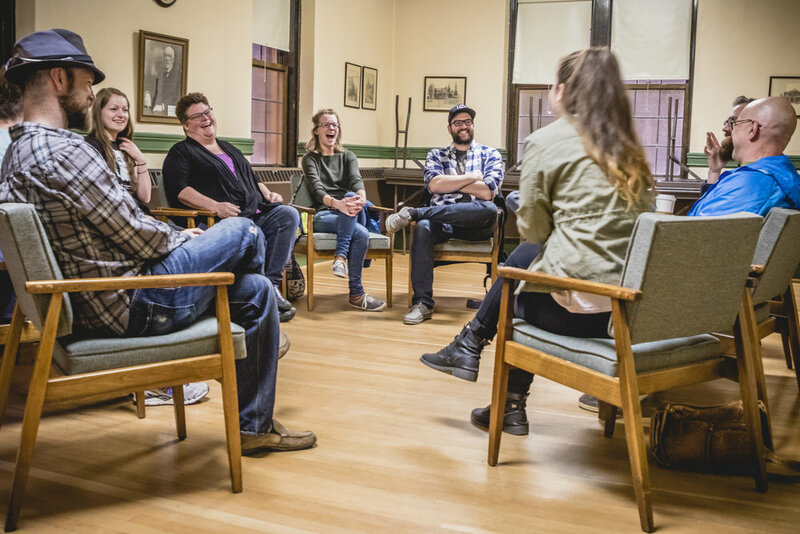 Dirty Theology is open to any and all young adults across the city regardless of religious affiliation, background, sexual orientation, or any other factors. Although the conversation is discussing the Bible, we are open to the multitude of opinions available to us from those outside the Christian faith. As long as those participating are willing to be respectful of those around them, they are more than welcome to participate. Nick Coates, the minister for Red Deer Lake United Church and our conversation director. The primary conversation leader for this discussion is the awesome Rev. Nick Coates, from Red Deer Lake United Church. He will guide us on a path of both discovering the story and discovering the connections to our lives. Although, Nick is the conversation leader, we are all expected to contribute. This isn't a one-way lesson, this is a conversation, Nick is there to just help focus our thoughts on the Bible passage each week. The Campus Ministry's Zoe Say is there to open and close the conversation while Brenda and Andrew from the Regional Ministry are there to help move the discussion. A special thank you to Knox United Church for providing us with space for the event! We primarily are doing Dirty Theology in their brand new Sanctuary Coffee, (www.sanctuary4yyc.com) which is an awesome new coffee shop the church has opened right inside their beautiful sanctuary. They are open most days of the week, from 7 am to 2 pm. Go and check them out!